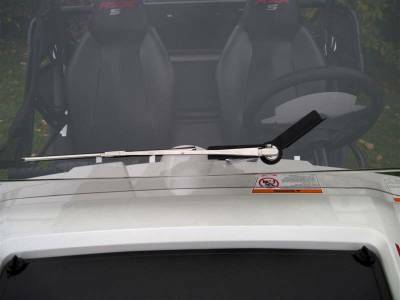 Hand Operated Wiper and Mounting Bracket Universal 11" Manual wiper makes clearing your windshield much easier while riding. Mounting bracket holds the wiper from falling down when not in use. To be used on "Cooter Brown" (MR-10 Hard Coat Lexan) and glass windshields only.